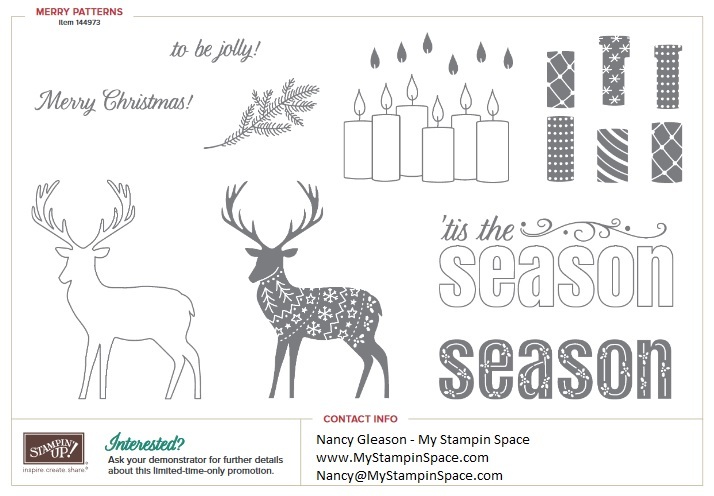 The Merry Patterns Stamp Set is exclusive to the dates above and will NOT be available after October 31. In order to qualify, the merchandise total must reach $300 (before shipping and handling) or more. There is no limit to the number of times the Merry Patterns Stamp Set may be earned, but only one set can be redeemed per qualifying order.